"If Republicans take this opportunity and blow it, we will rightly be considered a laughingstock," U.S. Sen. Ted Cruz said Wednesday regarding divisions among Republicans on the leading proposal to overhaul the Affordable Care Act. WASHINGTON — For possibly the first time since he came to the U.S. Senate, nobody in Washington is angry with Ted Cruz. Nimble and quick, the junior U.S. senator from Texas is performing a political and rhetorical tap dance of assuaging what would seem like mutually exclusive sides of the ongoing health care debate. GOP leaders are insisting that Speaker Paul Ryan's House bill to overhaul the Affordable Care Act can be salvaged. That position, however, is not in line with most Tea Party backers who want almost nothing short of a clean repeal of President Obama's 2010 health care law. And willingly caught in the middle is Cruz, who posits himself as the Tea Party advocate to the rest of the power brokers. "I could tell you, in the last week, for days I've been at the White House, meeting with the president, with the vice president, with the administration, with House members, with senators saying we have got to get it done," he said at a Tea Party rally on Wednesday. It's a far cry from his troublemaking days during the Obama era, when he was accused of engineering a government shutdown in a quixotic effort to repeal Obamacare. "There are different times when you take different approaches," he told a radio station on Wednesday. Back then, the "most effective way to oppose it was to mobilize the people to stop bad policy ... With a new administration ... we have the opportunity to actually deliver on our promises and fix this problem." Up for re-election next year, Cruz finds himself in a tight spot. Should he alienate Trump, he could be on the receiving end of an unpleasant Twitter tirade, the kind that could galvanize Republican opposition to him. Antagonizing the Tea Party groups lining up against the bill is an equally unsavory option for the junior senator: These were the same groups who backed his underdog 2012 Senate race. "We have an opportunity to do an enormous amount of good," he said at the rally. "Now, we could screw it up. We could very easily screw it up." The House Republican proposal, the American Health Care Act, would eliminate the individual mandate; do away with essential health benefits that insurance plans have to provide, such as preventive care screenings, emergency room visits and lab tests; unwind the requirement for employers with 50 or or more employees to provide insurance; add age-based subsidies to help pay for health insurance premiums; and incentivize continued coverage by charging people a late enrollment fee if they go without coverage for more than two months. Yet the GOP plan would keep some of the older law's most popular provisions, including allowing people under 26 to stay on their parents’ health insurance plan and ban on insurance companies discriminating against people with pre-existing conditions. Ryan's legislative push has taken fire from both the moderates and the right wing. 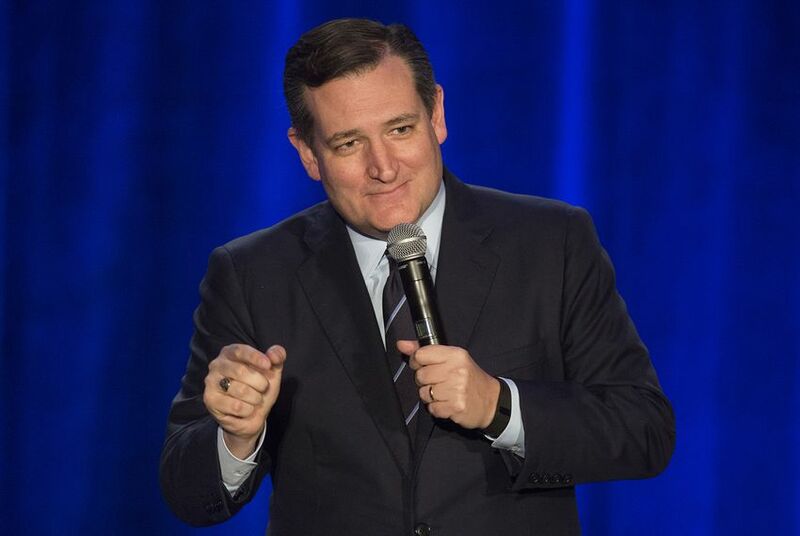 Republican observers say Cruz's careful watch-and-wait stance is smart politics. Why take a position on a bill that could change dramatically and which may never even reach the Senate? The person perhaps most closely monitoring where Cruz falls on the issue is the other Texan in the upper chamber, Senate Republican whip John Cornyn. As the GOP vote-counter, Cornyn is wrangling his own moderates and conservatives. "We now need to coalesce around one plan," he told reporters on Wednesday. "We have to come up with a consensus." The two men – who have had well-documented differences in the past – are now echoing each other. Both frequently urge colleagues to maintain their commitment to repeal. "I think failure is not an option," Cruz said at the rally. "If Republicans take this opportunity and blow it, we will rightly be considered a laughingstock." While Texas state leaders and legislators have been calling for the repeal of Obamacare since day one, the state has benefited from it. Health care was the main topic of discussion as U.S. Rep. Michael Burgess, R-Lewisville, withstood two hours of booing from hundreds of angry constituents at a town hall recently.